I have another problem I use HMVC for my project CodeIgniter, however my modules allow to have menu for example "The last articles" how can I display these menus on all the pages of my site? I specify that each module can have its own menu, in my controller I have a function public function menu () which allows to create a menu for the module, but I want this menu to appear on all pages of my site , how can I do that? 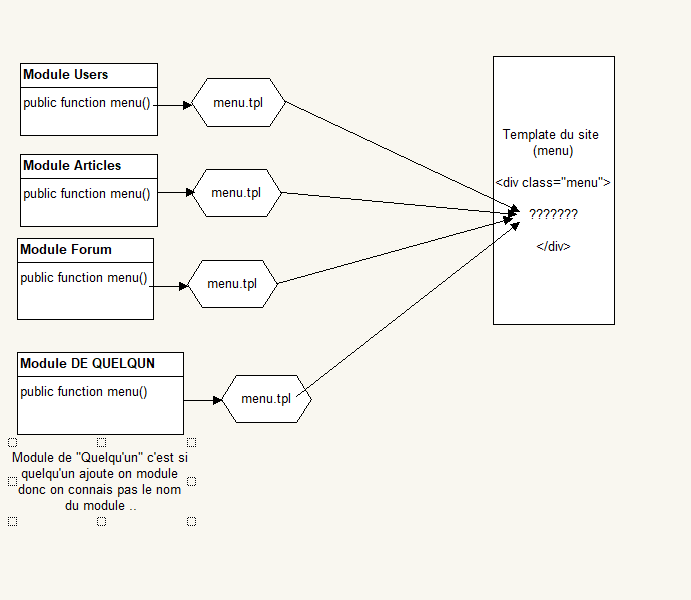 Pass the menu to the $data['menu'] variable in the method you display your page view. I do not use Smarty so not sure if it has a method or function to load another template. I usually create a menu library then loads a menu name and then the menu items for that menu name.